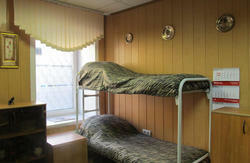 Baby Lemonade Hostel – light designer space in the style of the 1960-s located in the very heart of St. Petersburg! Our place is very cozy, warm and homely. We were open over two years ago and since then have been recieving positive reviews from our guests. We are fans of our city and as the visitors impressions of the city in many ways depend on the accomodation, we do realize our great responsibility for your stay. And we won't let our city down! Our hostel was inspired by the 60's as it was the time of freedom breaking trough young minds. Time of swing, flower-power generation, revolutions in music, design, art and most important in mentality. 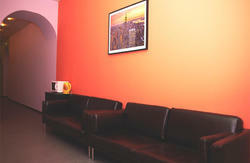 We have created in our hostel a similar friendly, inspiring and, free atmosphere. You can feel it in our shared and private rooms and while relaxing or chatting with other guests in common space. Our hostel is located in 19th century building in a Former Field Engineer Battalion Casern, located in very center of Saint-Petersburg. It will take you just 4 minute walk to get from hostel to the Nevsky prospect and central metro station ‘Gostiny Dvor’. We are surrounded by the most interesting sights of Saint-Petersburg! If you are a romantic person…The Summer Garden will be perfect for you, because it is the most wonderful park with antique statues, swans and fountains, which was founded by Tsar Peter The Great in 1704. If you love mystery… Than try the Inzenerny castle! It is one of the most beautiful and mysterious places of our lovely city, where the emperor Pavel I was brutally killed. His spirit is said to still walk there at night! If you are a party animal… Our location is also perfect for you! You can start your adventures from our friends’ cafe downstairs and choose any direction! There are a lot of interesting places in Saint-Petersburg! 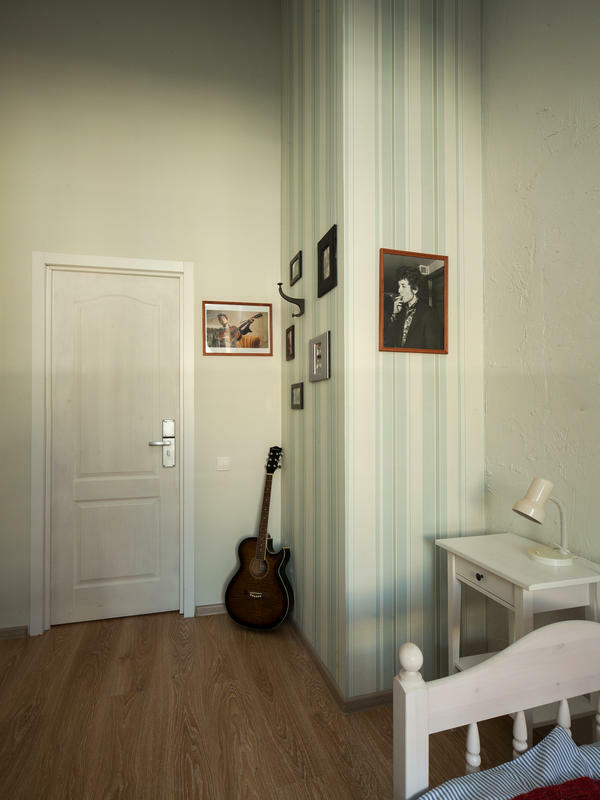 Every room in our hostel is unique, because they all have different style, design and mood. ARE YOU TRAVELING WITH YOUR FRIENDS OR ALONE? We can offer you two wonderful shared rooms: 10 bed-dorm - 'YELLOW SUBMARINE' and 6 bed-dorm - 'MAGIC BUS' – every bed have there own night lights, lockers and a socket! ROCK’N’ROLLING BUT NEED MORE PRIVASY? We have ‘UMMAGUMMA’ – a private room with two separate beds and a shared bathroom! MAY BE YOU ARE A COOL COUPLE? We have two privates with bathrooms inside – ‘TWIGGY’ and ‘ASTRONOMY’ with an air condition and a glass ceiling. Also we have 'POP-ART’ with round bed and THREE more privates with shared bathroom. - Access Baby Lemonade Guest's discounts in some cafes and services - as we have a lot of friends all over town, we always know where to go, what to see and where to hang out. So see you here and DO VSTRECHI! Take a bus to Moskovskaya metro staion. Then take the metro blue line to Nevsky Prospekt metro station. Take the Gostiny Dvor exit. Walk down Sadovaya str., take right on the second crossroad. In 30 meters you'll see our hostel sign. Take the Ploshad' Vosstania metro station (red line). Change the line to Mayakovskaya metro station (green line). There's one stop to Gostiny Dvor.